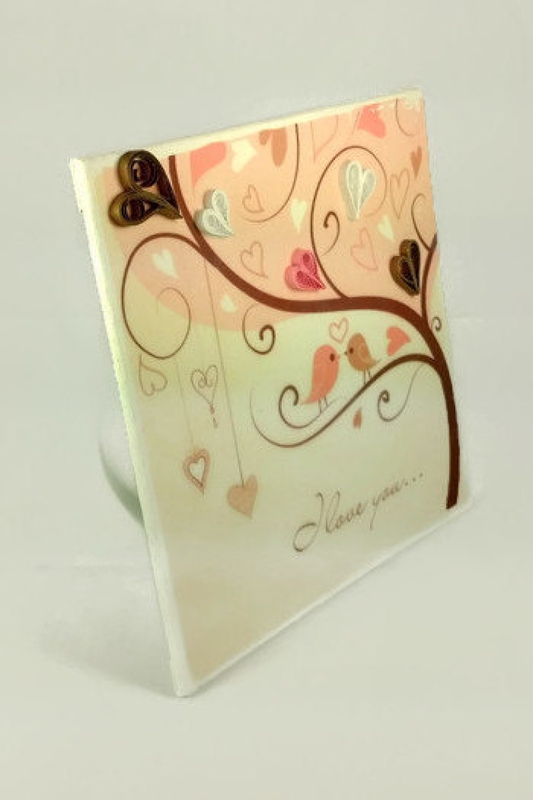 This love birds canvas wall art piece would make the perfect romantic gift and is sure to impress. Love birds were used the first time Valentine's Day was associated with love, making them the epitome of romance (Chaucer, 1382). 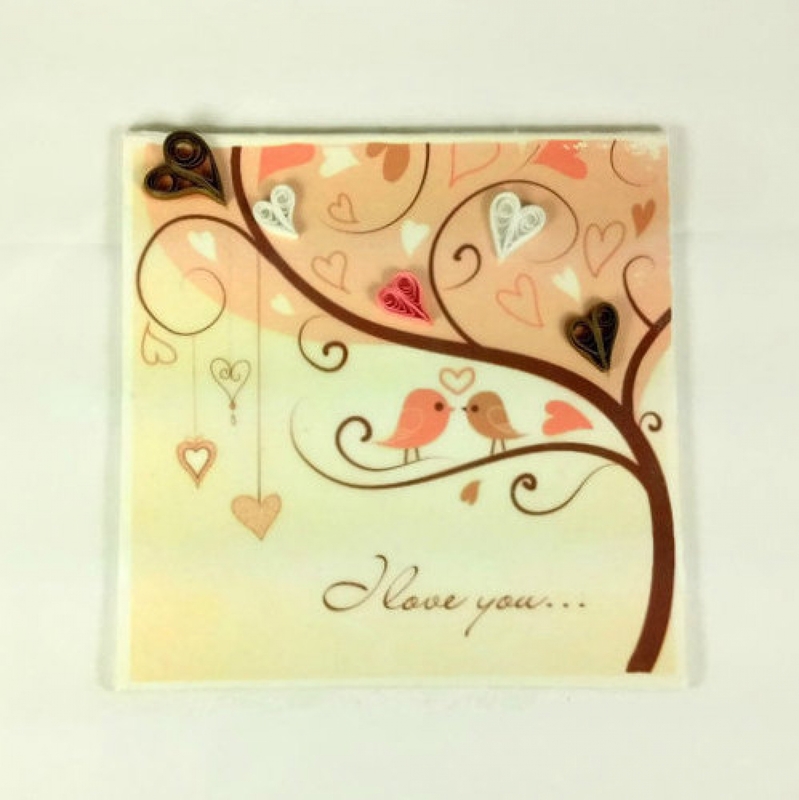 The 6X6 cotton canvas panel features two love birds perched on a tree branch. 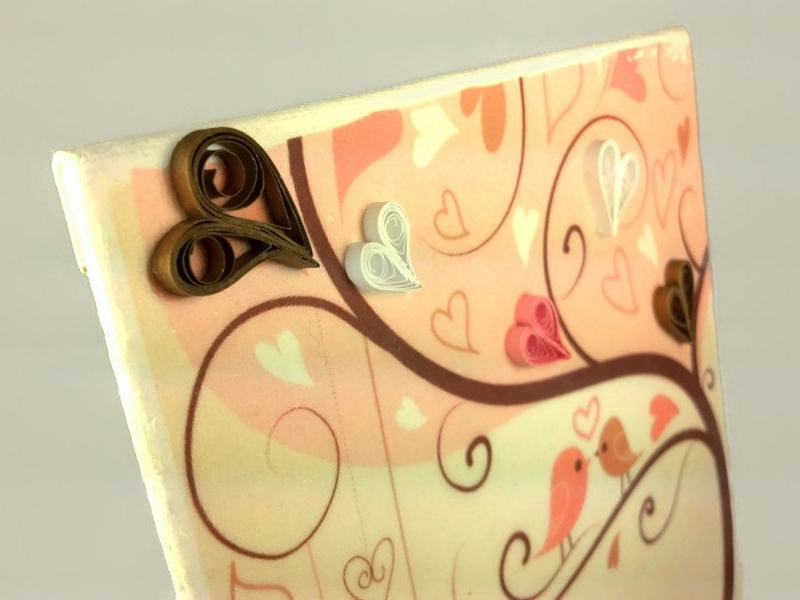 The birds are surrounded by heart leaves which have been carefully embellished with beautiful quilling paper filigree. 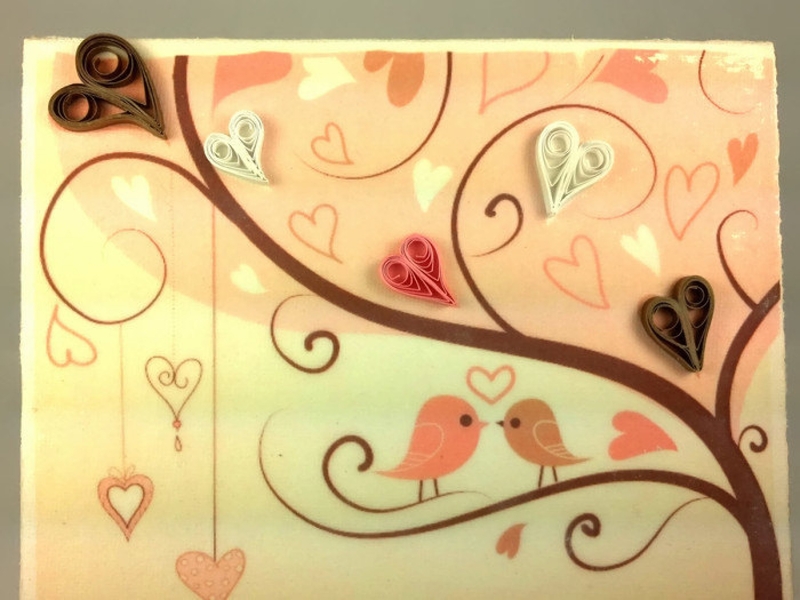 Underneath the birds, the words "I love you" appear in a dreamy script. 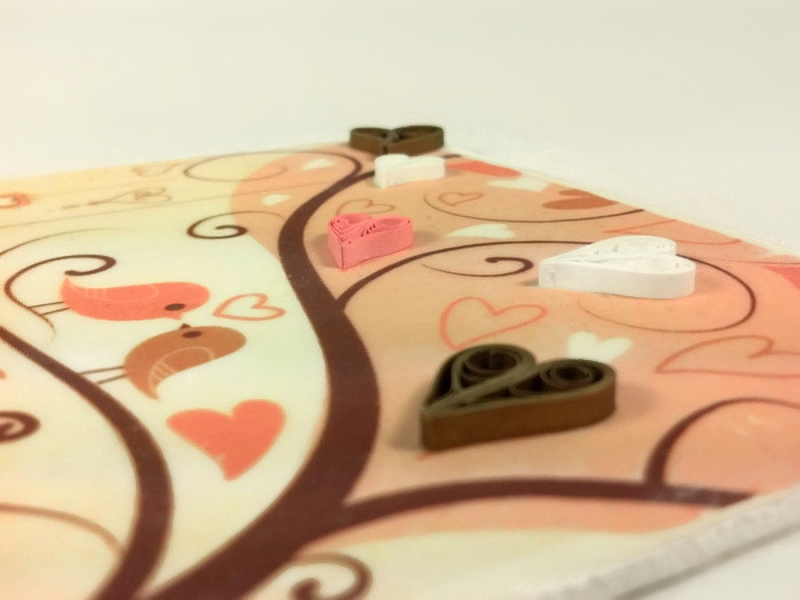 This would be a great first anniversary gift (heart embellishments are paper), second anniversary gift (cotton canvas), or for something special on Valentine's Day. The image was created using gel medium transfer of ink from paper to canvas. Due to the unpredictability of gel transfers, the image has imperfections and an overall distressed look, adding character to the piece. It was made with care and will add a bit of wow to your wall. This piece is unframed.